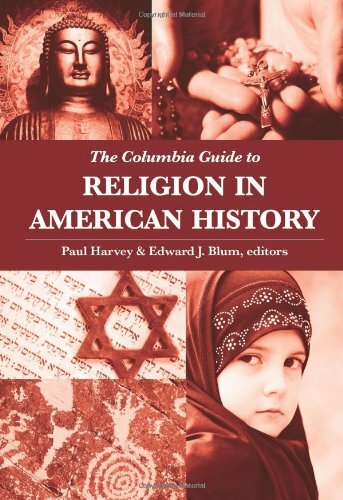 media resources for navigating different streams of religious thought and culture.The guide opens with a thematic exploration of American religious history and culture and follows with twenty topical chapters, each of which illuminates the dominant questions and lines of inquiry that have determined scholarship within the chapter's chosen theme. Contributors also outline areas in need of further, more sophisticated study and identify critical resources for additional research. An A to Z glossary lists crucial people, movements, groups, concepts, and historical events, enhanced by extensive statistical data. in agricultural history.Edward J. Blum, associate professor of history at San Diego State University, earned his B.A. in history from the University of Michigan and his Ph.D. from the University of Kentucky. His first book, REFORGING THE WHITE REPUBLIC: RACE, RELIGION, AND AMERICAN NATIONALISM, 1865-1898 (2005), won the Peter Seaborg Award for Civil War Scholarship, the C. Vann Woodward Dissertation Prize from the Southern Historical Association, and the Gustave O. Arlt Award in the Humanities from the Council of Graduate Schools. His second book, W. E. B. DU BOIS, AMERICAN PROPHET (2007), was a finalist for the Grawemeyer Award in Religion. Both of these works received honorable mention from the Gustavus Myers Center for the Study of Bigotry and Human Rights. In 2007, History News Network named Blum a "Top Young Historian." He has received fellowships from the National Endowment for the Humanities and the Institute for Constitutional Studies at George Washington University. Blum is currently writing a history of conceptions of evil during the Civil War era.